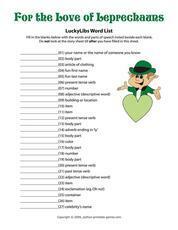 Check out a variety of printable and do it yourself St. Patrick's Day games and activities. 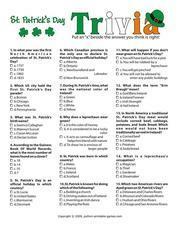 These activities should keep everyone busy on this fun Irish holiday. 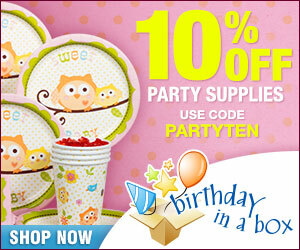 Perfect for classrooms, youth groups, kids, families and St. Patrick's Day events. 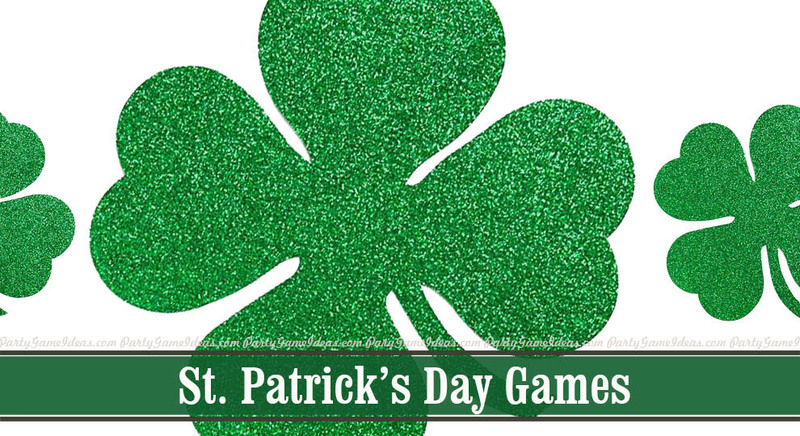 St. Patrick's Day games include scavenger hunts, corners, finding gold, trivia and more. 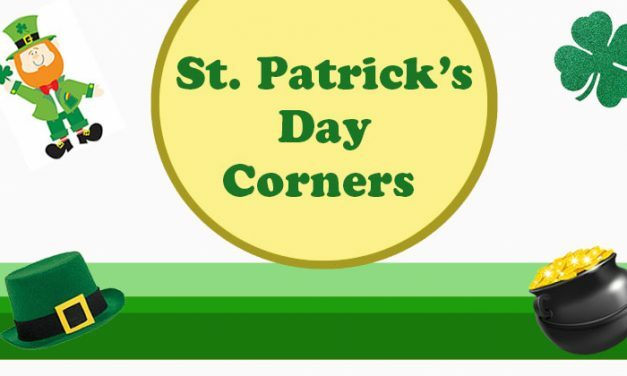 Fun and random game, St. Patrick’s Day Corners has kids selecting a corner when the music stops. Randomly players are eliminated from the games. 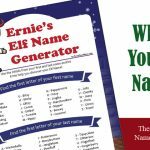 Easy game for all ages. 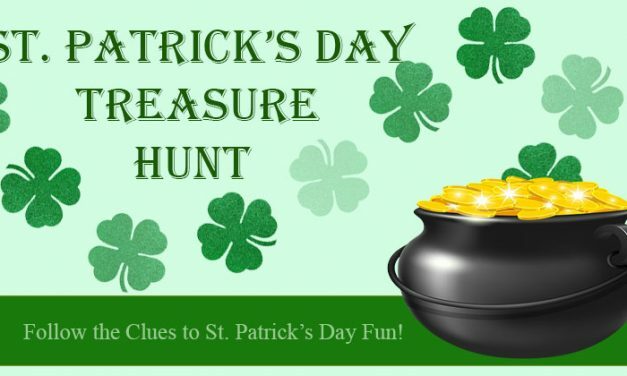 St. Patrick’s Day Treasure Hunt Game – The leprechaun has hidden his gold but with the help of the clues he left behind your can find his pot of gold. 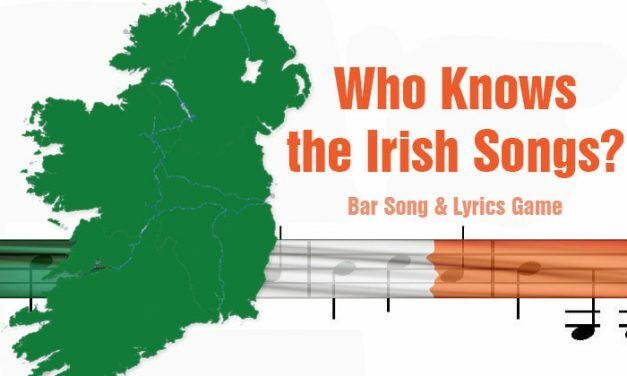 17 Irish Songs and Drinking Song Lyrics – Traditional Irish songs from 20, 50 and over 100 years ago. 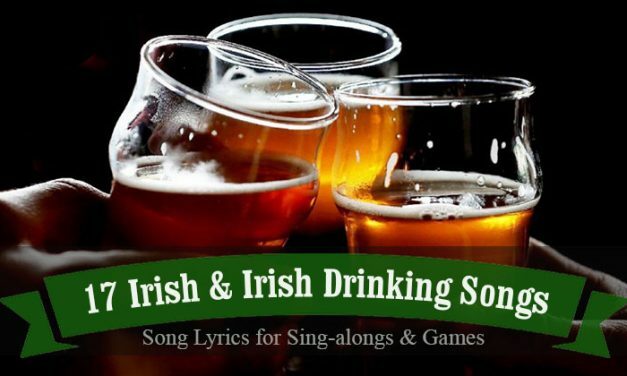 Great for Irish & St. Patrick’s Day sing-alongs, trivia and games. 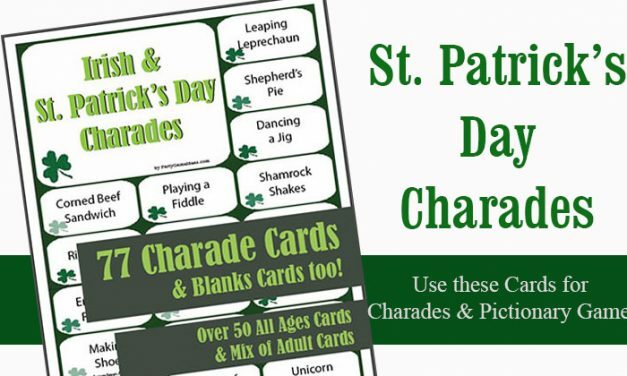 77 Irish and St. Patrick’s Day Charades for kids, adults, and families. 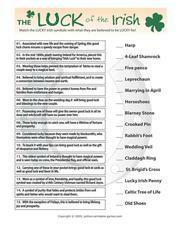 Have fun acting out these Irish themed words and phrases, plus you can play Pictionary with them too. 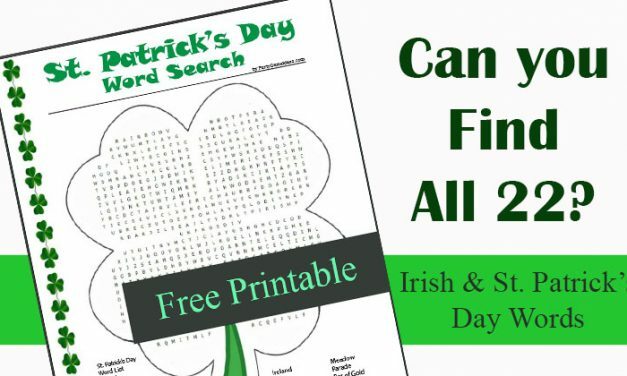 Free Printable St. Patrick’s Day Word Search – Find the 22 words in this Irish inspired word find. 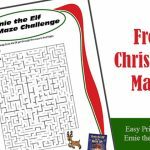 A fun activity for kids and adults – plus we offer a relay game option. 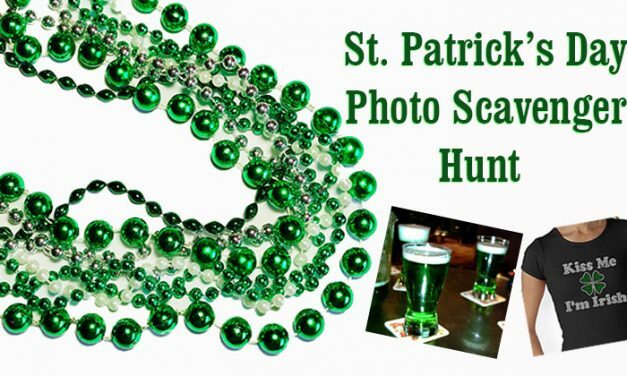 St. Patrick’s Day Photo Scavenger Hunt will have everyone getting their phones out and asking for photos with strangers. Fun St. The best way to remember St. Patrick’s Day. 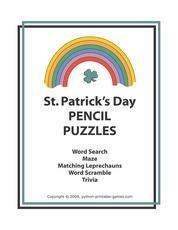 Find the Leprechaun’s Pot of Gold – St. Patrick’s Day Party Game. 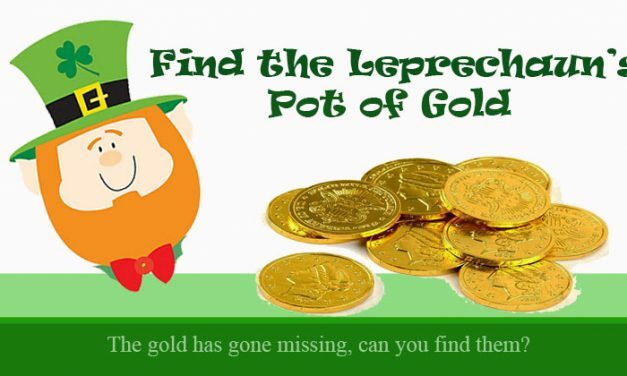 Willy the Leprechaun has lost his coins, can you find them. 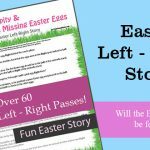 A hide and seek treasure hunt type game. 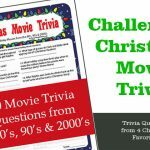 Enjoy Irish Songs? 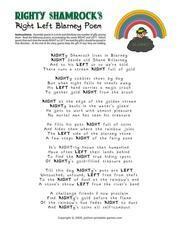 This Irish Song Lyrics game combines singing Irish songs, test lyrical knowledge and getting together with friends. Best for the over 21 crowd who enjoy Irish bars. 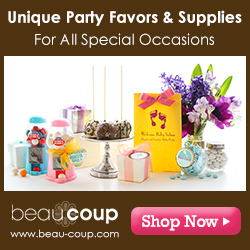 Plan ahead for a fun murder mystery evening. 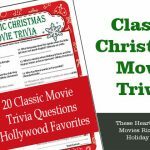 Guests 6 - 8, Ages 18 - 99, Find out who killed Patrick Murphy? 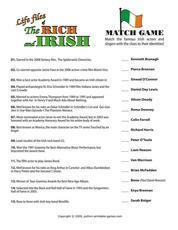 Guests 6 - 8, Ages 16 - 99, Where is Paddy O'Really?